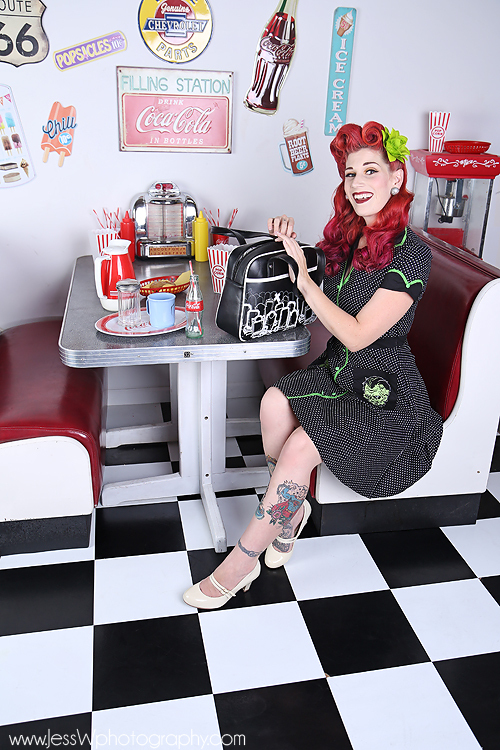 The 1950’s Diner set at Jess W Photography Studio in Las Vegas, NV was the perfect pairing for this Super fun Monster Diner dress by Sourpuss Clothing! 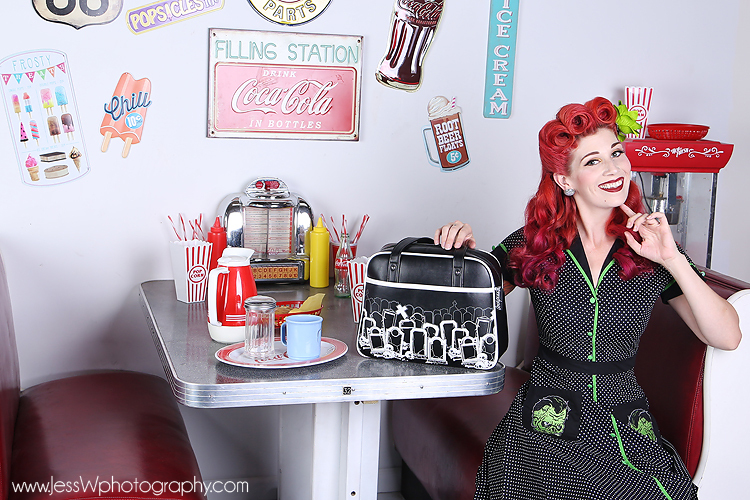 The Grave Digger Bowler bag is the perfect complimentary accessory for this dress. I am in love with this bag. Plenty of room to use as a daily bag for this on the go Momma. I can fit my purse essentials, and double it as a diaper bag for the little guys snacks, wipes, and a couple diapers too! Don’t forget to check out Sourpuss Clothing Speaking of little ones, did you know they carry cool stuff for your kids too?! Check out their Kids Section!